I’ve been to Miller’s a few times recently. The first was with “the girls” for our annual August get together. The second was with Tris and Greg Smith. Any of you that went to grade school at Sacred Heart will remember Greg. Greg left SHS after 8th Grade when he moved to Florida with his mother. We had a great time catching up and revisiting some of our memories from those years. 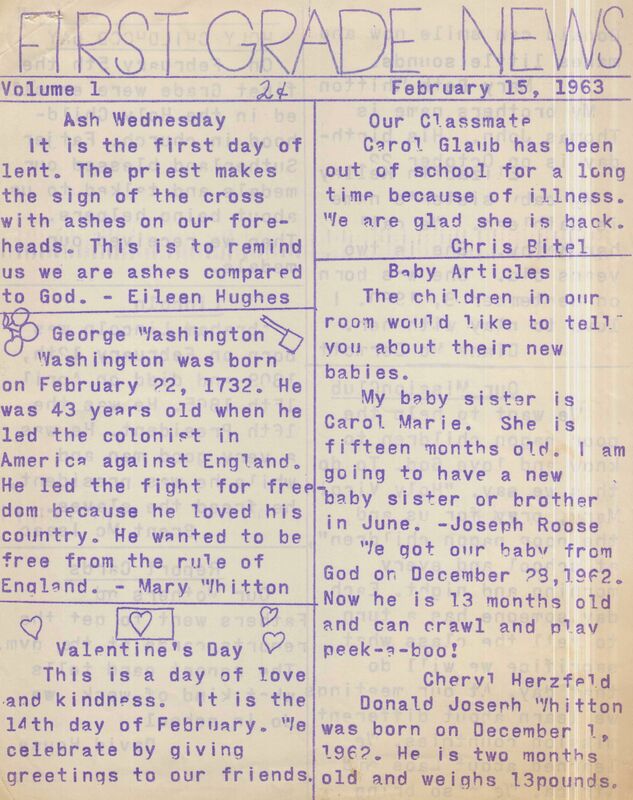 Fortunately, Greg remembered that he had a mimeograph copy of our “First Grade News”. 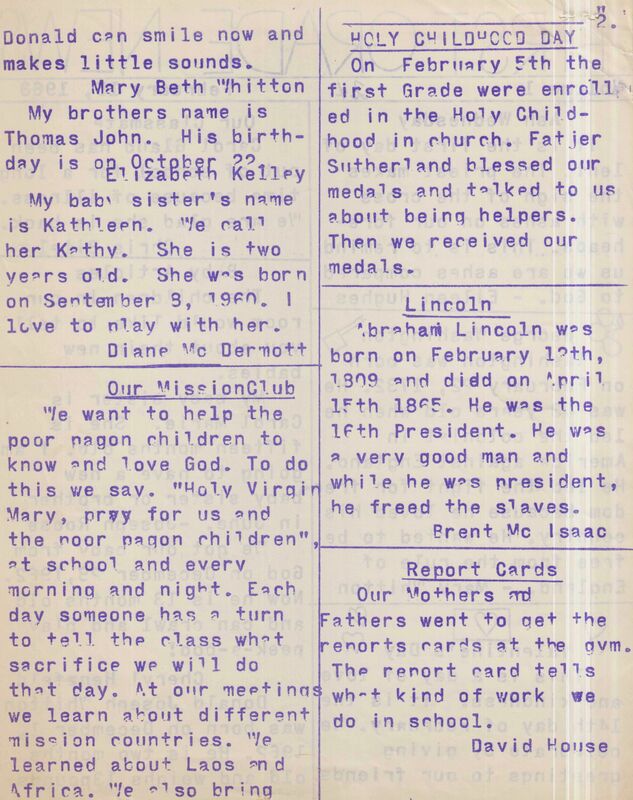 (Ah…the smell of mimeograph in the morning!) 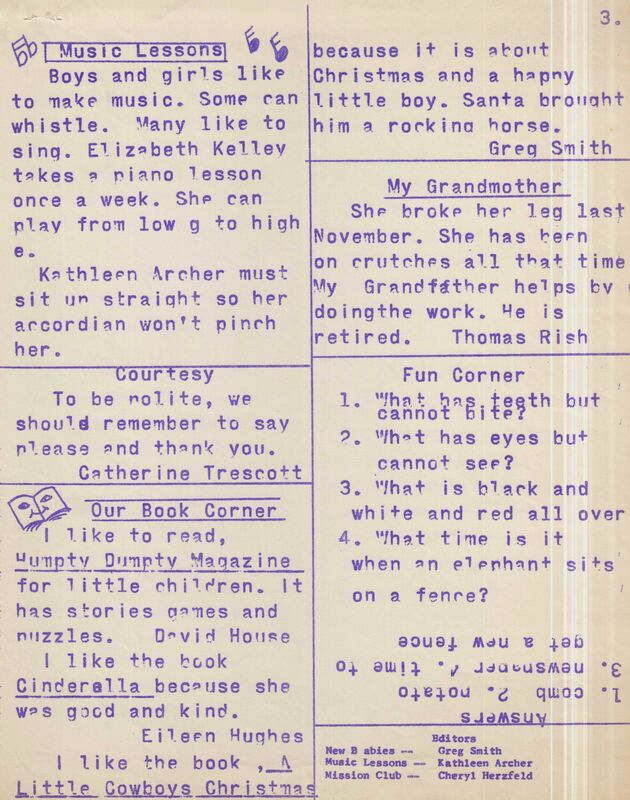 Does anyone remember that we published a First Grade Newspaper. I love that we charged 2 cents. This is just all too cute for words. Enjoy! If you have any school stuff that you would like to share, please let me know. My email is trapp001@comcast.net.